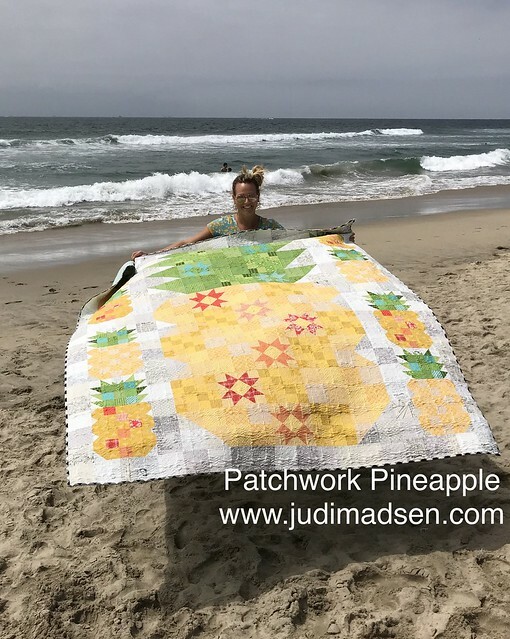 Patchwork Pineapple - NEW pattern! I am so thrilled to finally share what I have been working on for the last several months. 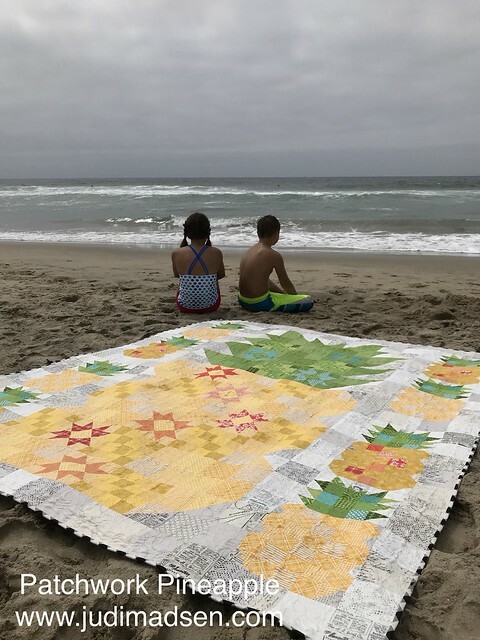 I have wanted to make a pineapple quilt forever. I drew one up at the beginning of the year and made that design up into a quilt, but - it didn't look good, or work right for what I wanted. 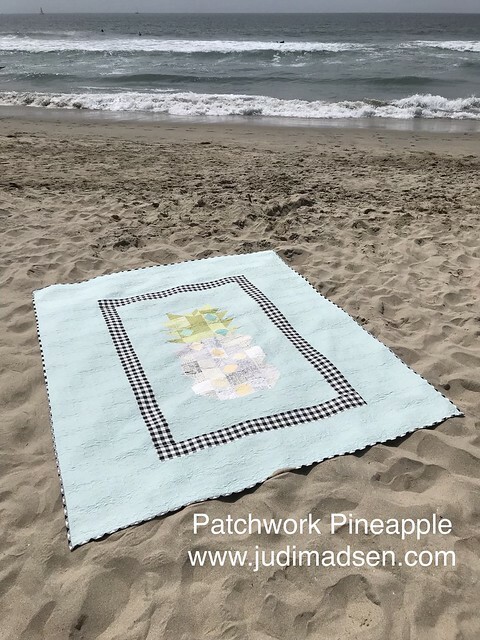 So, I started over and decided on the design, Patchwork Pineapple, that you see now. 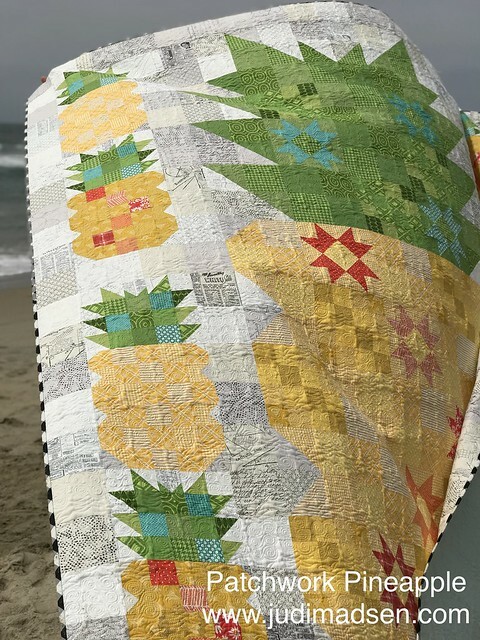 This is such a fun quilt to put together. The design is exactly what I envisioned with this second attempt and I am so excited to share it with you now. 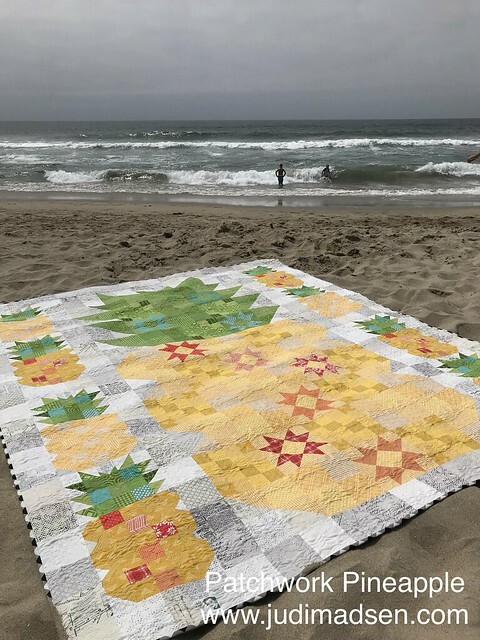 My family just recently went to California and I figured the Coast would be the perfect backdrop for my Patchwork Pineapple quilt. We had to wait until the middle of the day for the sun to come out, but thank heavens it did. The quilt and the backdrop look amazing! My kids were good sports as they modeled for the pattern cover. 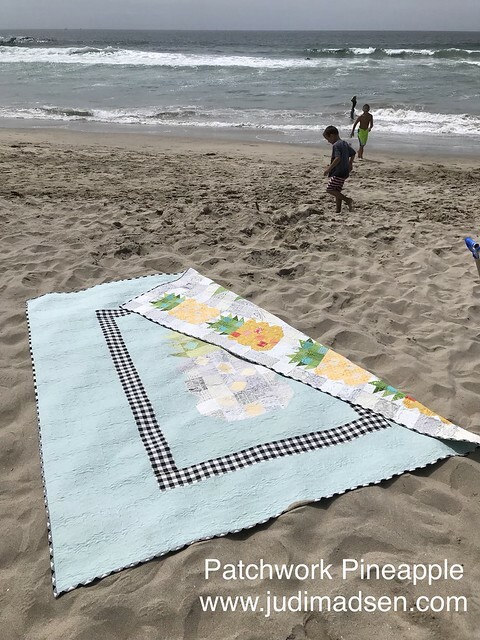 It was a super windy day and we had to really move the quilt around, but it's fun to see the quilt in action. I used fat quarters from my stash to make the quilt. The background fabrics were from a fat quarter bundle of Zen Chic's Modern Background fabric line - it looks perfect as the background. 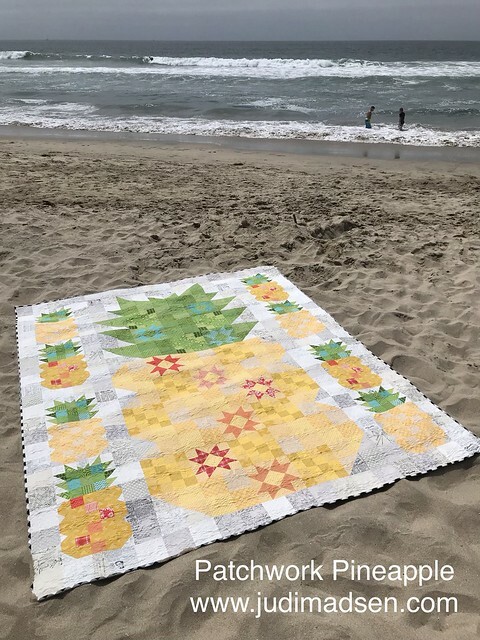 I wanted the pineapple blocks to look more like a pineapple than the quilts I have seen around, and with just a little extra piecing involved - I was able to achieve that look. 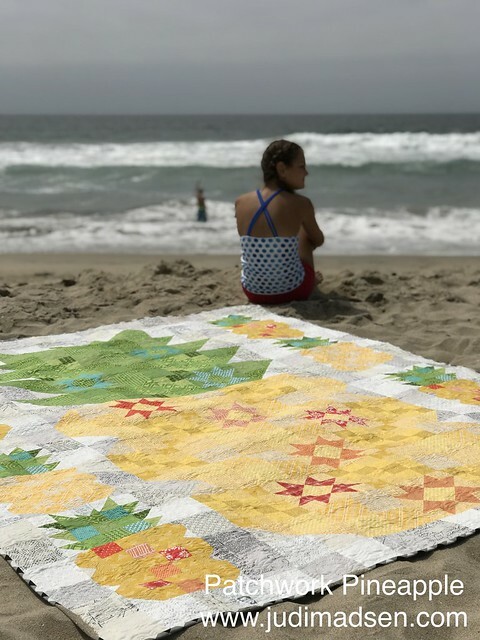 The stars with the accent colors are so fun in the large block as well as the square accents in the small pineapple blocks. This action shot shows the quilting a little bit better. 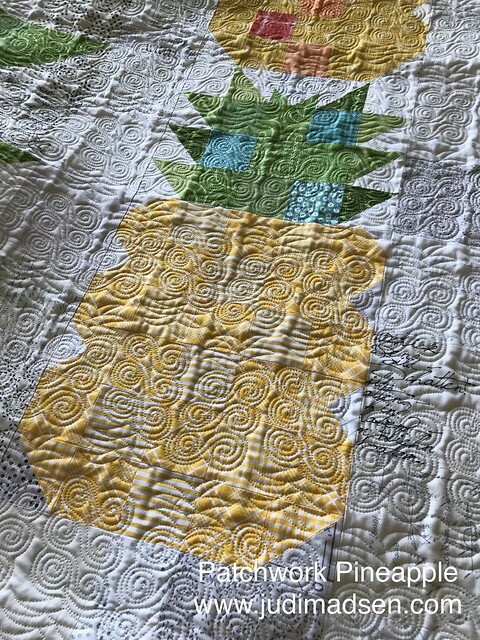 I designed an edge to edge computerized Pineapple Quilting design that quilts up very nicely on the quilt. 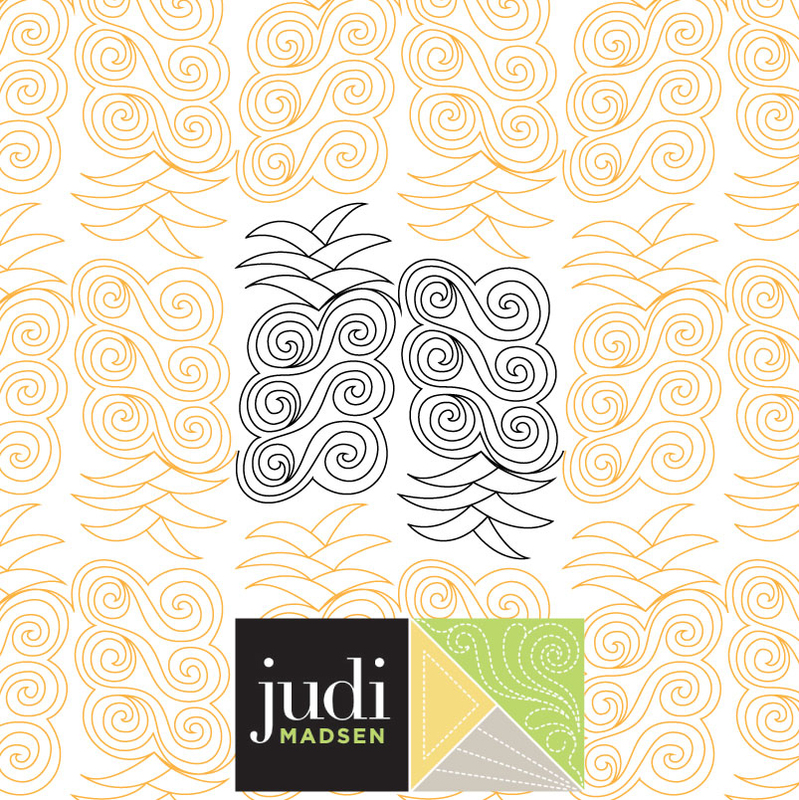 This is shown as a small quilting design, but it can be adjusted to a bigger size. 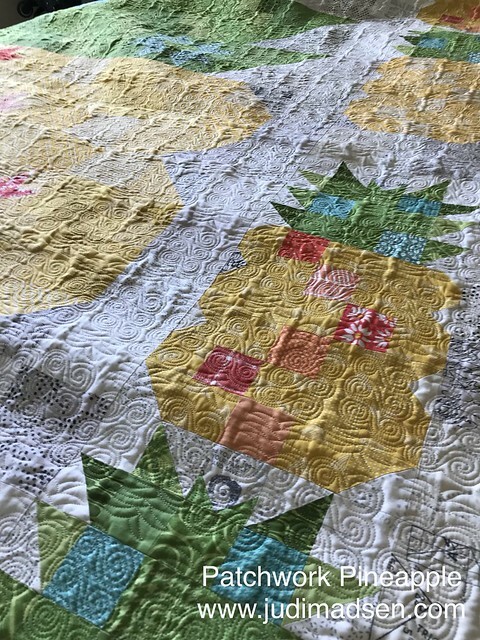 Here is a better look at the Pineapple Quilting. All my computerized quilting friends, you can get the design here - it's on sale right now for a limited time. Okay, and the best part about this quilt is that it is reversible. The instructions include how to make this gorgeous back. This is the medium sized pineapple block, and I think it is just darling! So, here you go! I hope you like making this quilt as much as I did. The pattern is available now as a PDF and the paper version will start shipping on September 17th. The introductory price is only $6.00 - so get yours today before the price goes up. Happy Quilting! !